Tri-County 911 provides support to individuals who are identified as calling 911 and utilizing emergency services as their primary source of healthcare. I have been walking alongside a female native elder, age 72. She has been without permanent shelter for the past 7 years, most recently staying in a tent at her nephew’s camp. I met her while she was staying at a hotel that her social worker had set up for her temporarily. She confided in me that she wanted to get sober, get into residential treatment, and find a stable place to live. We started meeting in the community to work toward building a mutual and trusting relationship. She decided to quit drinking on her own, against our recommendations, and became very shaky and visibly unwell. She then took our advice and pursued detox at Cedar Hills Hospital. She was admitted and stayed for 7 days. She was then transferred to St. Vincent’s Hospital, where she called NARA Outpatient Treatment Center. She is now actively engaged with NARA, and I attended the NARA Elders Lunch at her request. This peer has a loving family and a great sense of humor. We laugh a lot together! One of these days, she would like to make fry bread with me. Despite many medical issues and other life challenges, this peer always has a smile on her face, loves to laugh, and has expressed deep appreciation for the support she has received from TC-911. Fawn Hakert is now working with MHAAO’s SAMHSA-funded project, Peerlink National Assistance Center. 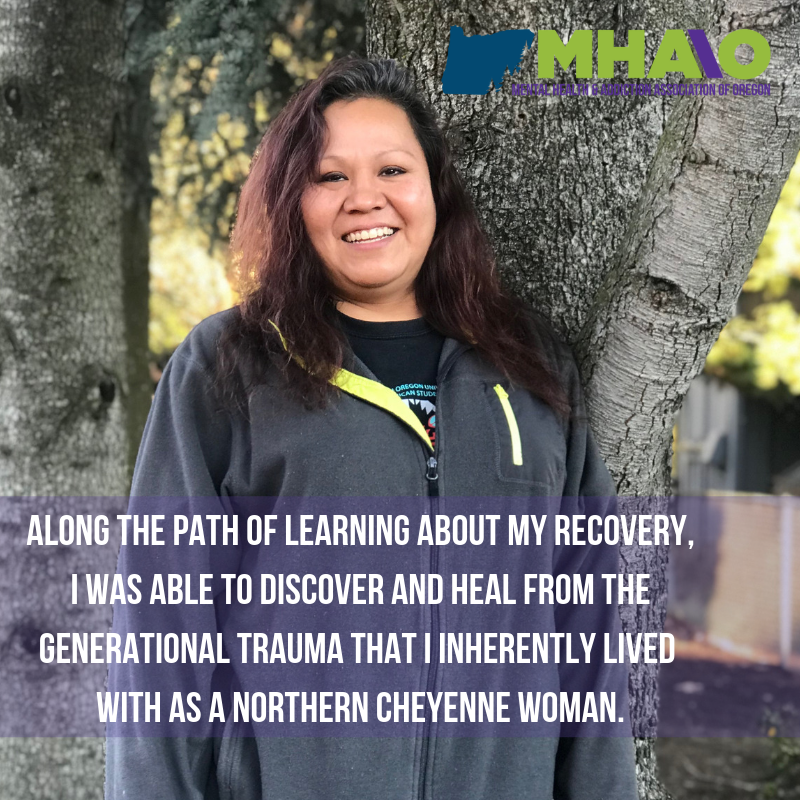 Peerlink works to strengthen the capacity and infrastructure of peer-run programs and traditional mental health organizations.